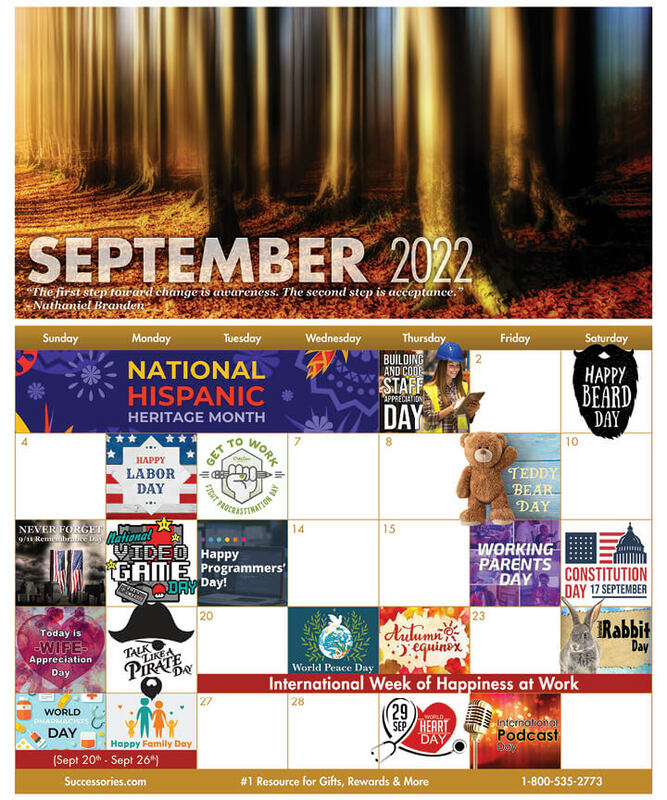 This Labor Day falls late this year on September 7, 2019, which is a great way to ease into month. At work, you should observe Swap Ideas Day with other departments to see. Set up a putt-putt course in the office to enjpoy Mini Golf Day. Celebrate the strong and powerful career women on September 22nd for national Business Women's Day and show your pharmacist appreciation on World Pharmacists Day (September 25th). Because many workers have kids who are going back to school at this time of year, giving them a little extra flexibility on the morning of Be Late for Something Day - celebrated Sept. 5 - can go a long way, and a gift can show some extra appreciation as well. Toward the end of the month, companies can also celebrate Good Neighbor Day on Sept. 28, perhaps by having workers do a little cleanup at a park near the office or donating some time to local charities.